UNITED NATIONS, December 20 -- In the UN Security Council, even an event as seemingly benign as a day for youth to show videos about world problems is subject to backroom arguments and vetoes. For the US sponsored youth day on December 21, the US Mission to the UN last week presented Council members with four videos to be screened. Three were essentially vetoed, multiple sources tell Inner City Press. A video by a German youth about nuclear weapons was vetoed by France, which even argued that the video wasn't by a youth. African members shot down a video about the Lord's Resistance Army, arguing that the portrayal of an African woman and children in front of a hut made them look “too poor.” That video has been replaced by one from Goma in the Democratic Republic of the Congo. A Serbian youth's video about natural resources was shot down. An argument made by the vetoers was that some issues are not on the agenda of the Security Council, and that to show these videos would be an encroachment of the rights of non Council members. Austria, which is bringing three youths to the December 21 event during which they will stay at Ambassador Thomas Mayr-Harting's residence, reportedly asked why a video submitted by an Austrian about children and armed conflict wasn't selected. 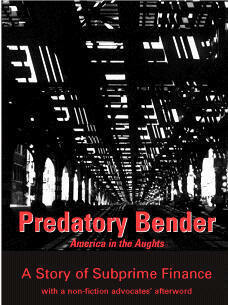 Inner City Press is informed that this will, at least, by in montage assembled by the US Mission. A Yemeni youth's video on water, initially selected, was vetoed. The three videos, the official story goes, are now linked to from Ambassador Susan Rice's Twitter account. 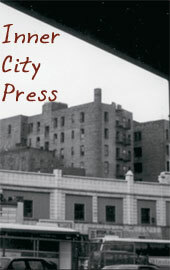 Inner City Press has been asked, in a separate story, to “give the children voice.” Watch this site. Footnote: earlier, based on which children's parent could afford to fly them to the December 21 event, Inner City Press dubbed it the "Rich Kids' Summit," then the "Summit of Kids from Rich Countries." Now it's said that at least the Chinese government is flying some kids in, and that New York City students form the Children's Zone in Harlem and schools in Brooklyn and Queens (not the Bronx or Staten Island) that the US Mission has not named on the eve of the event, will be there -- as will we. UNITED NATIONS, December 20 -- Contrary to a cable released by Wikileaks describing Susan Rice the US Permanent Representative to the UN being told by International Criminal Court prosecutor Luis Moreno Ocampo about Sudan's Omar al Bashir “stashing” $9 billion in “illegal accounts,” Ambassador Rice on December 20 told Inner City Pres that “I don't have a recollection of that being told to me directly.” Video here, from Minute 4:18. Inner City Press asked Ambassador Rice about the cable and what she and the US Mission to the UN had done after Moreno Ocampo told her and her then Deputy Alejandro Wolff being told about Bashir's $9 billion. Inner City Press: there's a report that Ocampo of the ICC told the U.S. Mission or yourself that Bashir had $9 billion taken from Sudan and put in London, Lloyd's of London, is what he mentioned. And I just wondered, it's one of these cables, I don't want to talk about the cable aspect of it, but I just wanted to know what do you think of that? Is that something Ocampo met with you and Ambassador Wolff and said, and if case, what did the U.S. do to find out if it's true? 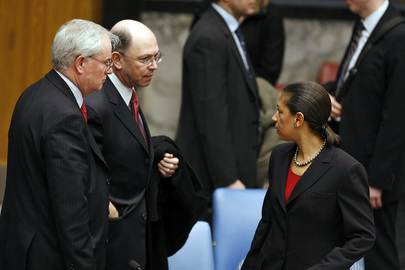 Ambassador Rice: I'm not going to comment on cables. I don't have a recollection of that being told to me directly, and I don't know if it was said to anybody else. 1. 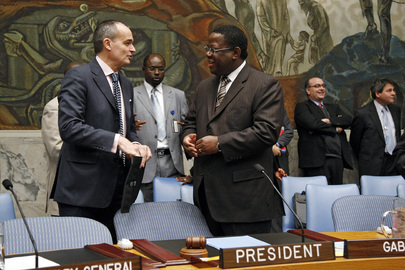 (C) International Criminal Court Prosecutor Luis Moreno-Ocampo told Ambassadors Rice and Wolff on March 20 that Sudanese President Bashir needed to be isolated. Ocampo suggested if Bashir's stash of money were disclosed (he put the figure at possibly $9 billion), it would change Sudanese public opinion from him being a "crusader" to that of a thief. Ocampo reported Lloyd's Bank in London might be holding or knowledgeable of the whereabouts of his money. Ocampo suggested simply exposing that Bashir had illegal accounts would be enough to turn the Sudanese against him, "as with Pinochet." 2. (C) Ocampo said Bashir invents conflict to create a better negotiating position, and thought Bashir was using the expulsion of the NGOs to divert attention away from his arrest warrant. Ocampo suggested the U.S. and the international community also needed to push for Bashir's arrest to isolate him. Ocampo likened Bashir's situation to "a bleeding shark being surrounded by other sharks," with no loyalty, only greed, motivating those competing for power. By promoting the possibility of Bashir's arrest, Bashir would be further marginalized within Sudan's ruling elite, Ocampo thought. 3. (C) Ocampo suggested it would be beneficial to reassure China that its access to oil would not be jeopardized. If China believed Bashir was becoming a destabilizing influence, Ocampo said China might be more open to his removal as long as his replacement would guarantee support for China's economic interests. Lloyds' January 2009 fine of $350 million, for concealing the source of money from Sudan, would have given Susan Rice and the Obama Administration leverage to get Bashir's accounts confirmed or denied by Lloyds at that time. 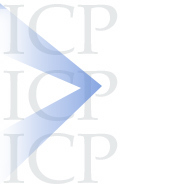 From the ICC in the Hague on December 19, Moreno Ocampo issued a statement that he did and does have information about the $9 billion. The unprosecutorial briefing of Rice and Wolff described in the cable may cause Moreno Ocampo some problems at the ICC. But in light of his December 18 statement, on top of the cable, Ambassador Rice and those above her may wish to provide some further explanation. Watch this site. Once Ocampo Told Susan Rice of Bashir's $9 B in Lloyds, What Was Done? 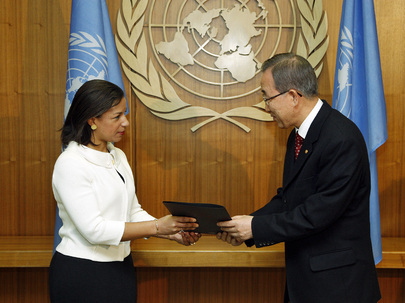 UNITED NATIONS, December 20 -- Sudan's Omar al Bashir has stashed $9 billion overseas, in Lloyds, US Ambassador to the UN Susan Rice has told last year by International Criminal Court prosecutor Luis Moreno Ocampo. The March 2009 meeting was memorialized in a cable Wikileaked over the weekend, see below. One wonders what Ambassador Rice did with this information. While Lloyds responded that it is unaware of such Bashir accounts, in January 2009 US authorities fined Lloyds $350 million for concealing the origins of wire transfers from Sudan, Iran and Libya in violation of US sanctions against the countries. A cynic might surmise that Ocampo chose to name Lloyds to US Ambassador Rice because of this US fine of the company, only two months before his meeting with the US Mission. But Lloyds so recent fine, for concealing the source of money from Sudan, would have given Rice and the Obama Administration leverage to get Bashir's accounts confirmed or denied by Lloyds at that time. Did they? At issue is not only corruption by a leader indicted for war crimes and genocide: under the Comprehensive Peace Agreement, oil profits were to be split between North and Southern Sudan. Southerns have alleged that the Bashir government had improperly kept and hid revenue. Could this have been the money? Or just a story Ocampo tried to float? What did the US Mission to the UN, State Department and Obama administration do to find out? Watch this site. Footnote: the cable may cause major problems for Ocampo with the ICC. This explains Ocampo's fast December 18 press release putting his spin on the cable. If the Court does not hold a hearing on it, credibility will again be at issue. What do the Court's supporters have to say? The holiday season is no excuse.